Looking at the data this morning is making me literally sick to my stomach. 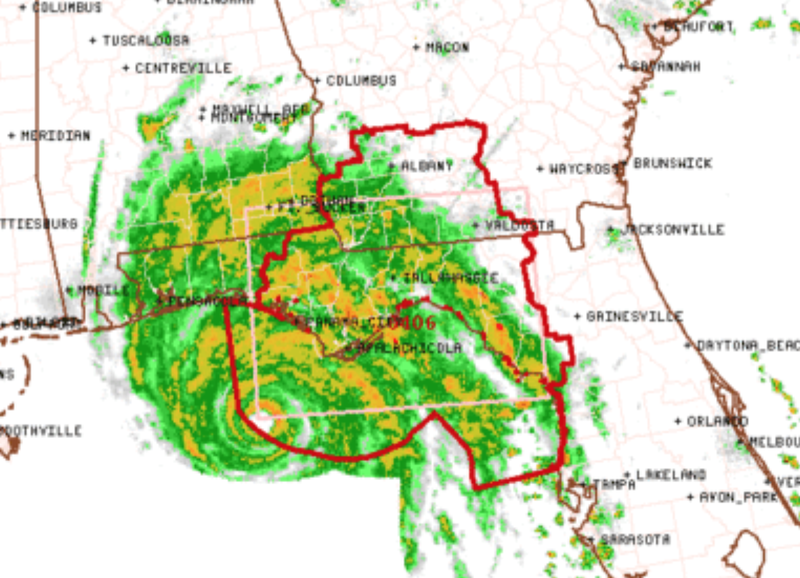 Hurricane Michael will be the worst hurricane to ever strike the Florida Panhandle. Sustained winds are now 145 mph with higher gusts. 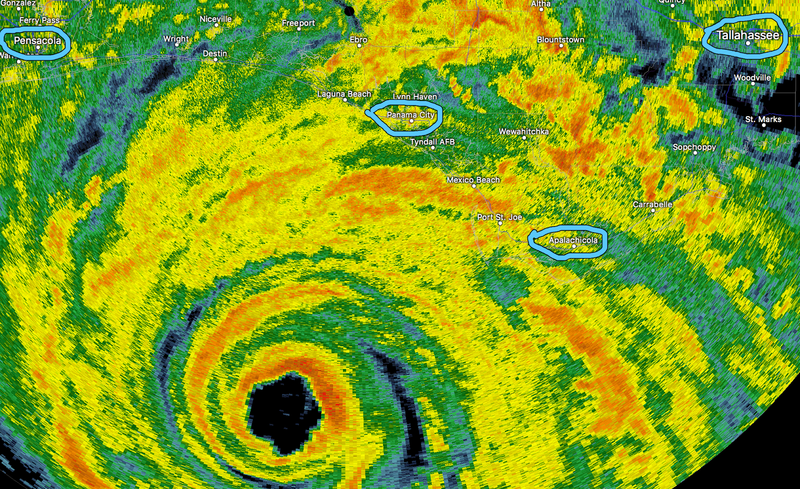 They are expected to be 150 mph at landfall. 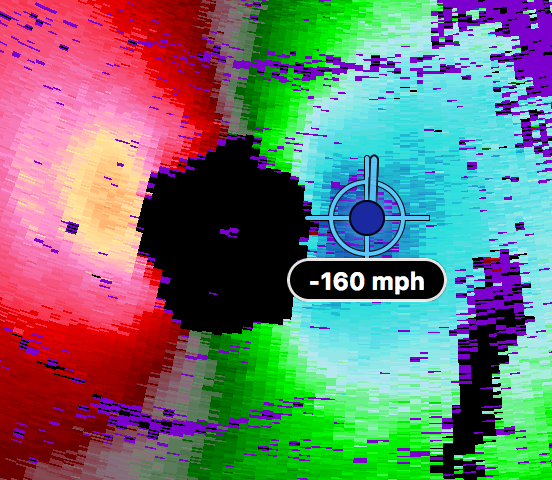 The radar just picked up the equivalent of a surface gust to 160 mph! 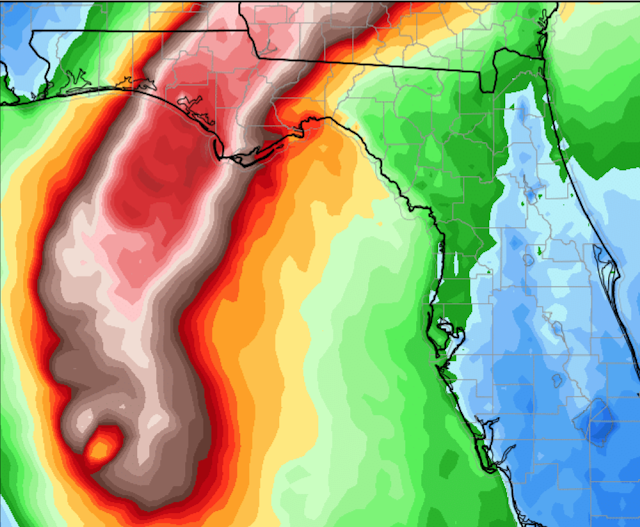 Storm surge could be 15' in places. 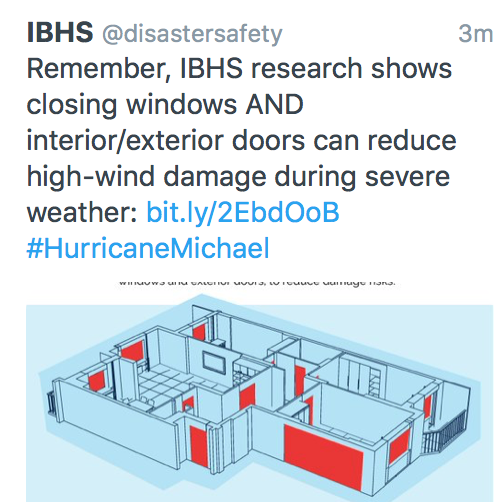 The combination of wind-driven water and the wind itself will be deadly to anyone in its path. Here is a prediction of the wind swath. Currently winds are gusting to about 32 mph at Panama City's airport. They will increase rapidly through the day.